The 3rd Annual Stash Bash Hunt is HERE! A hunt for those who love the herb or love cool stuff! Today I will be continuing on, showing what other great products are up for grabs. If you missed Part one, please CLICK HERE! Curious Kitties made this awesome dress for the hunt. You obviously can't see it here, but the mesh of the dress is scripted to colour change, it also is animated, so the circles get all trippy on you. Since the dress has a built in skin piece in the chest area, you get a whole set of skins, and have a skin matching hud to change the skin texture on the dress. 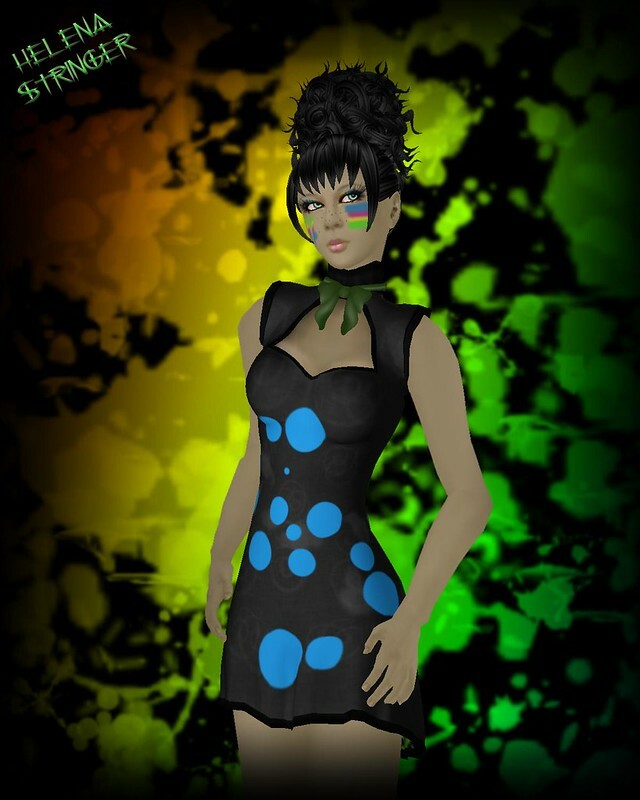 Any of the Curious Kitties skins of the same line will work with this dress. So Many Styles did up this weed cami. Not much to say, it's a cami, it's got weed leaves. Nuf Said. Should have put on an emoter, she looks like a mad druggie, don't let the peace sign fool you! 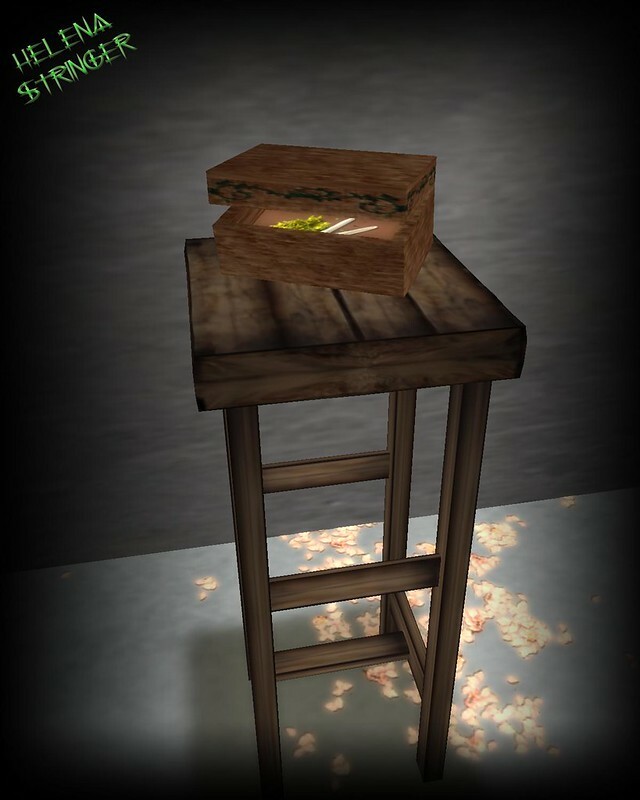 This is another gift you just have to see inworld. I actually thought something was wrong with my sl viewer. Cutea of Grim. Bros. made this wearable couch. You put it on, and it starts guttering all over. It really is trippy. The movements of the avi make me laugh too. It's slight, but is fitting. I am going to wear this shopping something, I swear! India Ink Gallery did up this little stash box. The cool part is you click it, and you get the painting in the next pic! It's a 2 for one deal. So that is it for this instalment. I still have petites items, more womens items and some more mens stuffs, so 3 more posts at least! The hunt is really small, only 20 stops. You are looking for little stash baggies, teehee!